Fabric Banner walls consist of a lightweight frame which literally expand up to create a skeleton frame which then holds the graphic panels in place. The graphics are printed on a durable Fabric & attached to the frame by means of velcro strips. 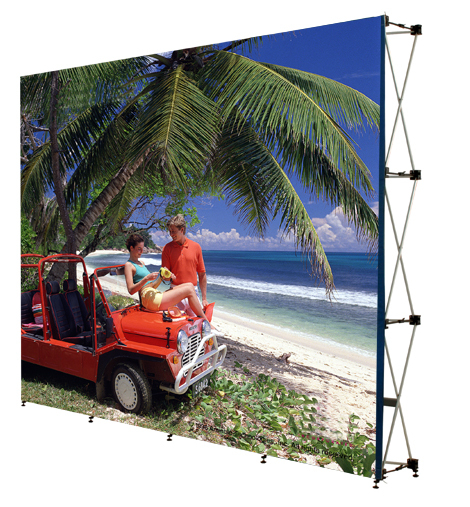 All of our Banner wall display stands come in a variety of widths starting from a 2 cell wide stand up to 4 cells wide. Halogen lights are available to create a superb graphics display stand.